Global industrial overfishing has caused significant problems in the village of Rabo de Peixe in the Azores, where small-scale fishing has long provided a livelihood. This situation plunges Pedro, a young master fisherman, with a crisis in his professional life, over and above the inherent dangers of working at sea. 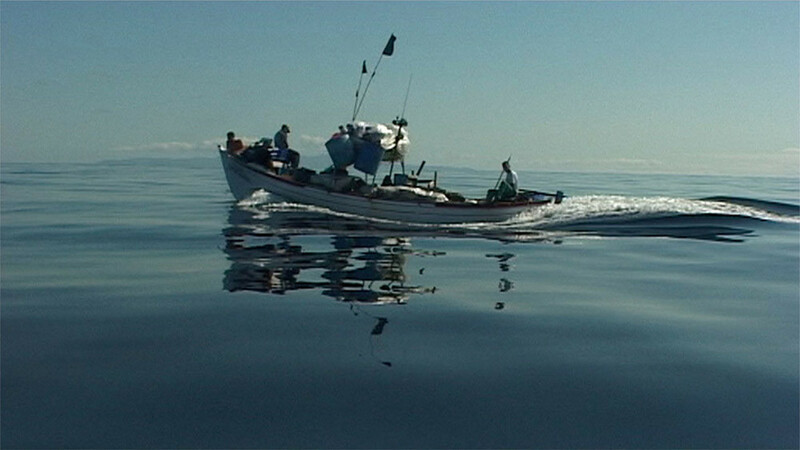 Shot between 1999 and 2001, the film follows Pedro and his crew over a full year, chronicling their determination to remain free. He was sound mixer in more than 100 films in which he worked with directors such as Manoel de Oliveira, Raul Ruiz, Werner Schroeter and André Techiné. In 1987-96, he produced around 30 films, namely João César Monteiro’s Recollections of the Yellow House and God’s Comedy, both awarded at the Venice FF. He did not attend film or art schools, but he started early at the age of 16 in film, and has worked as animator, rostrum operator, set designer, sound recordist and editor, electrician, actor, grip assistant and cinematographer. Both have been making films together since 1996. Their recent film, What now? Remind-me (Special Jury Prize, FIPRESCI Prize, Locarno, 2013), was screened in 34 countries. They also run an independent publishing company. Tall Stories (1988, Dir. : Joaquim Pinto), Where the Sun Beats (1989, Dir. : Joaquim Pinto), Twin Flames (1992, Dir. : Joaquim Pinto), Santa Maria (1992, short, Dir. : Nuno Leonel), Para cá dos Montes (1993, short, Dir. : Joaquim Pinto), Schizophrenia (1995, short, Dir. : Nuno Leonel), Surfavela (1996), Interview with Yvonne Bezerra de Mello (1998, short), Sol menor (2007, short), Pig of a Story (2007, short), What now? Remind-me (2013), The New Testament of Jesus Christ According to John (2013), End of Quote (2013), Fish Tail (2015).